‘Big Brother’ 20 Spoilers: Did Kaycee Lose Her Chance At $500K? Kaycee didn't make a bold move this week in “Big Brother” Season 20. “Big Brother” Season 20 houseguest Kaycee may have just lost her chance at winning $500,000 by not making a big move this week. Warning: This article contains spoilers from episodes of CBS’ “Big Brother” that have not yet aired. Read at your own risk! 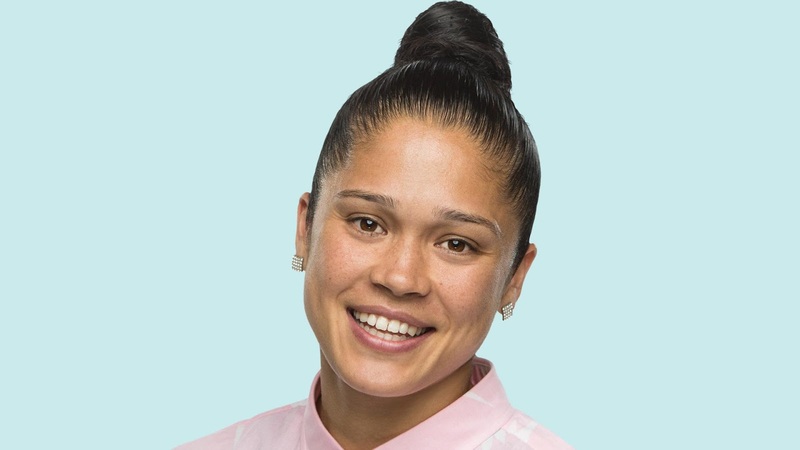 It was recently revealed that Kaycee won the Power of Veto (POV), and if she wanted to secure a spot in the final two, she should have taken either JC or Sam off the block. The two nominees are in danger of being sent home, and they will most likely team up with anyone at this point. If Kaycee used the POV on either Sam and JC, she will be left with only one person to put up on the block and that’s Tyler. He may have been a loyal member of the Level 6 alliance, but Tyler is bound to decide on who he will bring with him to the final two next week. It is highly unlikely for Tyler to take Kaycee with him because he knows that she’s a competition beast. Tyler also recently told Angela that he’s in love with her, and they agreed to win the entire game. As such, Tyler will most likely bring Angela with him to the final two. Kaycee could’ve asked Sam and JC to work with him because if one of them is off the block and Tyler is up for eviction, the house could go on tiebreaker mode. JC will vote to keep Sam in the house or Sam can vote to keep JC in the house, and Kaycee will vote to keep either one of them. This guarantees that Tyler would be sent packing, and Kaycee will earn votes from the members of the jury. Unfortunately, Kaycee didn’t make a bold move. On Wednesday, either Sam or JC will be evicted. On Thursday, another houseguest will be sent packing. Kaycee, Angela, and Tyler may be loyal to each other until the end, but the half-Filipino is still in danger of ending in third place if she doesn’t become the next Head of Household. “Big Brother” Season 20 airs Sundays and Wednesdays at 8 p.m., and Thursdays at 9 p.m. EDT on CBS. Entertainment News: ‘Big Brother’ 20 Spoilers: Did Kaycee Lose Her Chance At $500K?